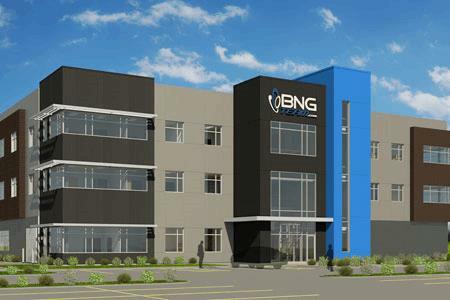 Brady Nash and the co-founders of BNG Holdings started dreaming of building a Google-like work environment in Fargo, ND while they were still 18 and 19-year-old college kids selling telecom and cable services for a multi-level marketing company. Fast forward a little more than 10 years later, and the technology company broke ground on what will be a 34,000 square foot office building. BNG’s current portfolio includes selling payment processing, POS technology, and web design services to retailers, restaurants, hotels, and wireless merchants. It also has a separate software division – a homegrown automated billing and invoicing solution currently used by thousands of IT services providers. 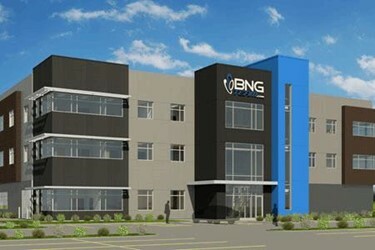 Real estate is just one more way BNG is diversifying its portfolio. The company currently employs 47 people and they are just about out of room at its current office. 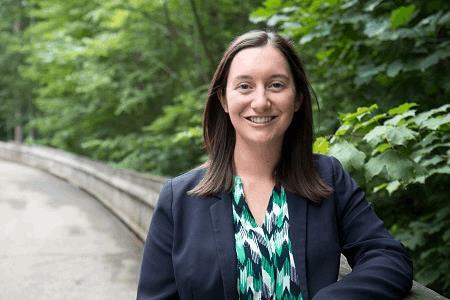 Nash hopes BNG will be able to move to its new office by late November or early December 2018. In the meantime, the company has already started preparing for the move by transitioning to the cloud. Most of its infrastructure is now running on Azure, and BNG has already started planning for its servers and phone systems to move seamlessly. It’s not hard to imagine BNG will be flooded with resumes once it has the office space to fill with new hires.